I am a Gigi now with number 6 grandchild on the way. I raised 3 children of my own and now I get to help a bit with my grandchildren. I know times have changed in respect to child rearing but there are definitely some things that have not changed. One of those things that remains as true today as it was "back then", is exhausted parents with children who require attention vs. jobs, homes, and requirements of life. Time becomes a premium. Guilt grows to huge proportions. Guilt because you did chores rather than spend time with your children or guilt because you spent time with the children so your house is dirty. Have you ever heard, "What did you do all day?" How frustrating those words can be after you spent the entire day following after a child and cleaning up messes all day long. Maybe instead of the words you just got a look. Oh how I remember those days! 1. It is easy to find 15 to 30 minutes to go through the living room, kitchen and bathroom (public places in the home) to tidy up. Quickly pick up toys and stash in a container. Clothes go to the laundry hamper, dishes go to the kitchen. I do this right before the hubby comes home. I still do it. Sometimes, I enlist the kids to help. I make it fun. Treat it as a race to see who can get the most done. 2. The toothpaste that falls into the sink when I am brushing is great to use in shining my sink up. The same goes for that soap I just rinsed off my hands. I take my hand and use finger wipe that soap to wash the sink a bit...a little rinse and seconds later the sink is shiny again. 3. That washcloth I just washed my face with gets to shine up the faucet, sink or counter too. (even the disposable ones work for this!) Rinse it out if it is too dirty with makeup. 4. I keep a scrub brush with a long handle (for reaching) hanging in my shower. When I am about to get out, I take a bit of soap or shampoo on my brush and scrub those spots in my shower. a quick rinse later and I get out of a shiny shower or tub. 5. A bit of bleach or cleaner stored near the potty and a toilet brush makes it easy to give a quick cleaning swish at least once a day. Or better yet get one of those brushes with the cleaner included. 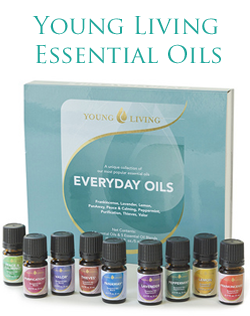 You can also mix up your own cleaner with essential oils for those of you conscious of chemicals. 6. Cleaning wipes stored nearby are a quick way to clean under and on the seat. You can also use baby wipes or facial wipes with a bit of essential oil added for this job. 7. That sticky kitchen or bathroom floor that needs to be mopped can be cleaned the cheaters way...drop a wet rag with a bit of cleaner on it and use your foot to quickly mop up any spots. This doesn't eliminate the big mop up but it does help your floor go a few extra days till that mop up can happen. Get the kids to help with this one! They love to help. It doesn't matter if they don't do it perfectly. Imperfect clean up is better than no cleanup. 8. Have a little dust pan with a crumb brush ready for your kids to help "sweep" the floor in spots. 10. Kids also love to help do dishes if you are there helping too. They can be on a chair with a brush and soapy water helping clean them a bit before the dishwasher. 11. Kids can help with the silverware, pans and plastic items when unloading or loading. Make it fun while you work. Everything you do with your kids makes great memories and raises them up to be people with a great work ethic some day. 12. Organization needed? Instead of tackling the entire job just clean out 1 drawer or 1 cabinet each day or week. Before long your whole house will be organized. Keep doing this and it is perpetually organized. All these little cheats add up and will help your house to stay a lot cleaner. They do not eliminate the need for the deep clean but they will help that deep clean be much easier if you don't have to get out the hoe for the clutter and the chisel for the grime. It will take the overwhelming cleaning job down to manageable. You will be amazed at how easy the cheats are to add into your day. 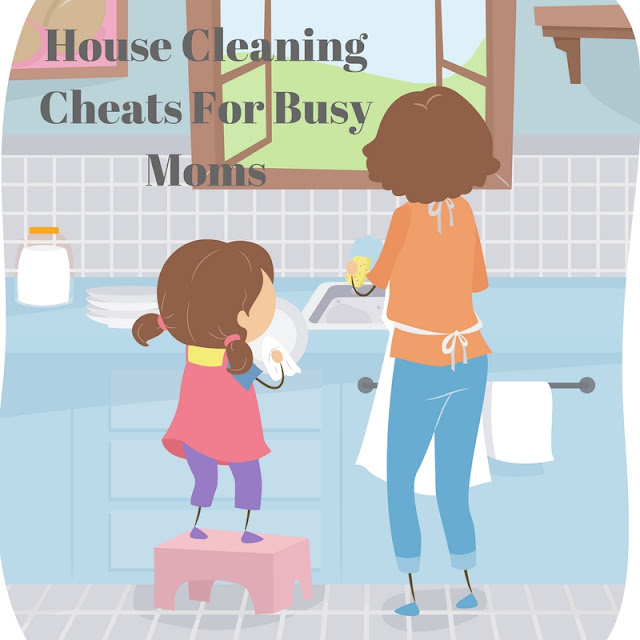 I bet each of you can come up with even more ways to cheat in day to day house cleaning too. I would love to hear some of your ideas in the comments.